On behalf of the FishingTownsville.net team I would like to wish everyone a safe and Merry Christmas. 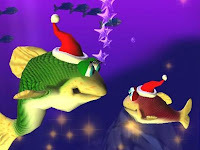 I hope everyone gets some wonderful fishing presents from Santa. I myself would simply like some good weather delivered for the next week or so! !